A 24MP smartphone camera would be considered excellent, but the Vivo 15 Pro takes selfies to the next level with their 32MP pop-up, front-facing shooter, which uses Samsung’s new GD1 image sensor. Featuring support for HDR as well as electronic image stabilization, two features that most front-facing cameras lack. Not many specifications are known yet, but the company has confirmed an in-display fingerprint scanner. Read more for a teaser video and additional information. “An official price has yet to be announced, but recent comments by a Vivo executive have suggested that the new phone will cost between 20,000 and 30,000 rupees in India (translating to between around $280 and $420). 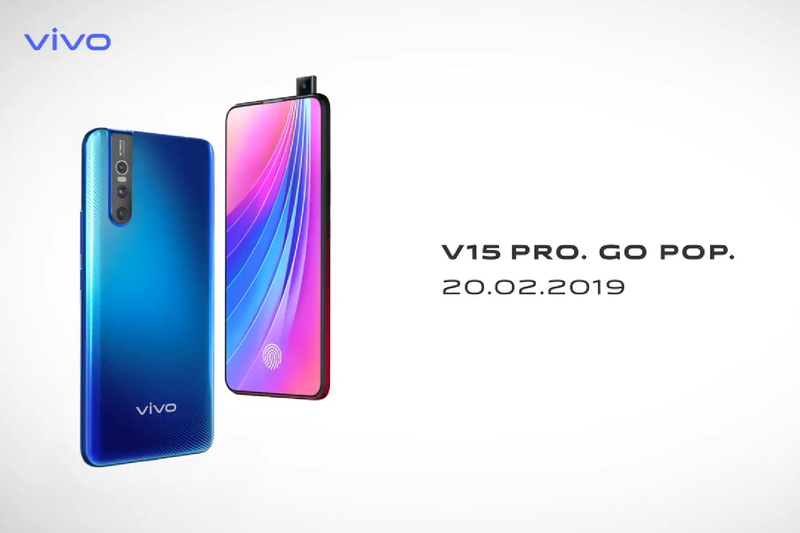 The Vivo V15 Pro is due to be officially announced at an event on February 20th, a few days ahead of the annual Mobile World Congress in Barcelona,” reports The Verge.